Add a menu item, change the layout of the menu buttons, start an 86 countdown, or mark an item as out of stock in seconds, right from the tablet interface and sync the changes to all devices with no interruption to your ability to serve guests. Best part? You don’t need to be onsite to make any menu or system change. Just log in from any internet-ready device and you are good to go. Are your servers wasting valuable customer time rushing back and forth from the kitchen or terminal to their tables? 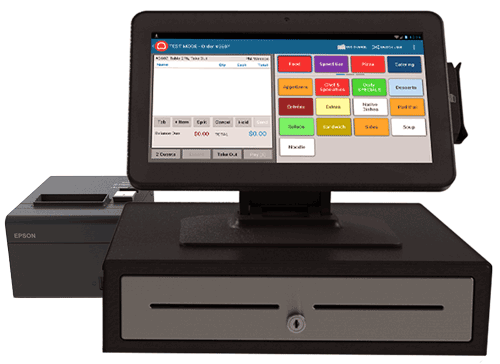 With POS tablets, servers can fire orders immediately, so they can better focus on increasing guest satisfaction. The touchscreen streamlines the ordering experience; with only a few taps, you can improve throughput by 15% or more. The pay at the table experience is revolutionary. 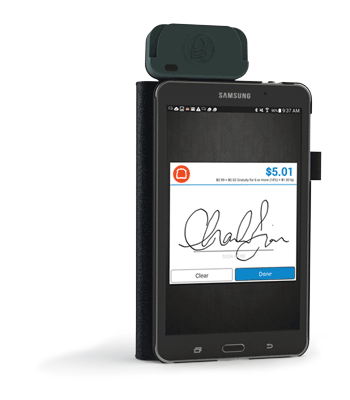 Now, guests don’t have to say goodbye to their credit card as servers whisk it to a terminal; instead, they can pay, sign, and tip right at the table using our tablets.